In September 2009 Spoken Word Antics ended its 6-year run at the Red Deer. For the time being it's in limbo. There are plans to resurrect it in a different venue, perhaps in a different form, maybe even with a different name, so we'll keep you updated as those plans develop. Meanwhile, you can read about the people who performed at Antics over the years on this site, you can listen to recordings on the sound archive, and browse through the Spoken Word Antics Radio Show listings - if anything takes your fancy send us a request and we'll make it available on the sound archive. SPOKEN WORD ANTICS was an open mic without the mic, reliant on the warmth of human technology, and open to all kinds of spoken word: poetry, stories, urban fairytales, found poetry, folk opera, spoof newsreel, comic monologue, anything goes.... There were usually one or two guests, and plenty of open slots. See right for details of dates and guests. 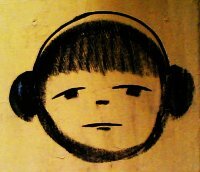 Click on the images above to find out about the online sound archive and radio show. On Saturday 29 October 2011 Spoken Word Antics is getting together with Off the Shelf to put on a Skype night, where writers in Sheffield will be joined by writers from around the world appearing via Skype. The evening will alternate between appearances from local writers and remote writers, who will be projected onto the screen in Showroom Cinema 5, and will include one specially commissioned Skype script. There are six slots for writers to take part in Sheffield and one £150 commission for a Skype script. To find out more about how to take part, visit the Skype Me! Sheffield page. Three poems from Robin Vaughan-Williams's The Manager are now available to listen to on the Spoken Word Antics Sound Archive: 'Risk Assessment Exercise', 'Fired! ', and 'Follow the Leader'. 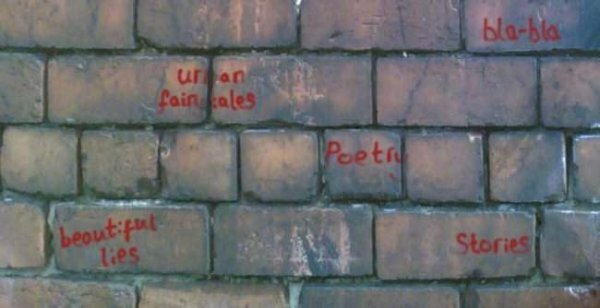 You can listen to some of the new collective poetry improvisations we have been developing in the last month on the Antics MySpace page. 'Everything Changes' was devised by Robin Vaughan-Williams and recorded on 23 August 2008 with Philip Howarth, Tina McKevitt, Oliver Mantell, and Robin Vaughan-Williams. We used Cicely Herbert's poem by the same title as our starter text. 'Are you my friend?' was also devised by Robin Vaughan-Williams, and recorded during the Spoken Word Antics Radio Show on 22 September 2008 with Sarah Thomasin and Adele Geraghty. Both improvisations feature in some form in the performance Life 2.0. Spoken Word Antics presents Life 2.0, an exploration of words and technology, featuring improvised soundscape, skype readings, viral text poetry, and Lost Voices, a collective poetry performance developed especially for Life 2.0, as well as performances from Richard Bolam, Linda Lee Welch, Brian Lewis, Jake Harries, Robin Vaughan-Williams, and more...! See the Life 2.0 website for more details. If you would like to help promote Spoken Word Antics, please hand out some fliers or stick up a poster. These can be downloaded in PDF format, or you can pick some up next time you turn up to the night. Celebrate 5 years of Spoken Word Antics! ...so let us know about any performers or performances you'd like to see again, and we'll try to arrange a programme based on what you have told us. Alternatively, you might have a Sheffield-based writer or performer in mind who you haven't seen at Antics, but would love to see there. What have you enjoyed? What sticks out in your memory the most? Please email us you requests and suggestions (see right for contact details). To jog your memory, view this list of people who have performed at Antics in 2006 and 2007, or listen to the recordings from the three-year celebration in January 2006. Extracts from the last three month's shows are now available to listen to on the sound archive. Matt Clegg's and Simon Heywood's 'Trig Points', a fusion of haiku and guitar sounds; Philip Howarth on the day it snowed feelings in 'Nice Weather'; Jim Caruth reads from his Staple 2006 Manuscript Competition winning A Stone's Throw; Anna Robinson brings together voices and memories from a Waterloo housing estate: 'how much sky can you see above the rooftops? '; Trinny and Suzanna, throw-away smiles...Matt Black does love poems his way. they open up Vistas to other worlds. If you've been trying to discover how strictly defined formal criteria can unleash your creative potential, but just end up feeling like you're banging your head against a brick wall, this could be right up your street. Based on a marketing technique commonly used in 1980s junk mail, the rules of 10-or-less (perhaps properly know as the tiebreaker competition) are simple: think of something, say you love it, and finish in ten words or less. 10-or-less is the perfect way for the multi-tasking modern individual to get in touch with his/her creative self and still have time to juggle multiple jobs, commitments, and partners. Who's got time to write a proper poem these days? Even haiku can be a struggle sometimes. But you can dash off 10-or-less in just a few moments ï¿½ everybody's got it in them! And because of its origins as a marketing technique, 10-or-less usually ends up saying something about the commercial world we live in. Please send any 10-or-less to Antics at the email given on this page. Meanwhile, here's some inspiration. 10-or-less on IndyMedia. 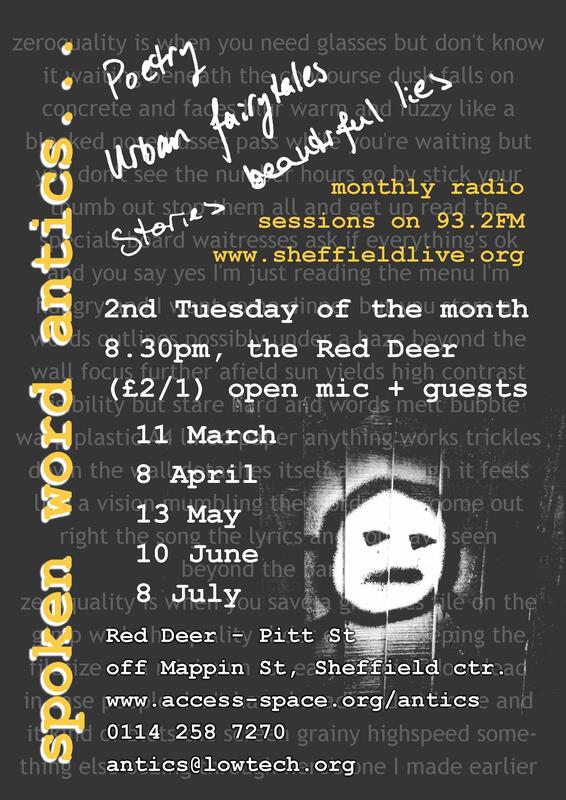 Extracts from February's Spoken Word Antics radio show on Sheffield Live are now available for download on the sound archive. Dusan and Sanja Radunovic perform a bilingual reading of the Serbian poet Vasko Popa's 'Give Me back My Rags' and discuss the poet's use of folklore, his position in relation to socialist realism in Yugoslavia, and how he is perceived today in Serbian and Croation cultures. Tom Stafford reads the latest of his historical vignettes, '1983', about a man who stopped the cold war turning hot. New material from the first two Antics on Air radio shows has been added to the sound archive, including poems from Michael Greavy and James Lock, an interview with September's guest poet, Phenzwaan, and On the Wonk, a story by Steve Scott. The first show will feature an interview recorded with Phenzwaan, guest at September's Spoken Word Antics, live readings from Michael Greavy, Marshal Lore, and James Lock, and soundbites from the Seattle slam scene. Comments, suggestions, ideas for the shows welcome. 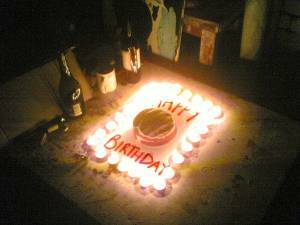 The Spoken Word Antics sound archive is now ready, with recordings available for download from the Antics 3rd birthday event in January 2006. Keep an eye out, as there is quite a backlog of recordings that will eventually make its way onto the sound archive. Who has performed at Antics in 2008? Who has performed at Antics in 2007? Tom Stafford, Joan Hoare, Tina McKevitt, John Hall, Jackie Hagan, Doreen Bottomley, Matt Black, Matt Clegg, Sarah Thomasin, Robin Vaughan-Williams, Philip Howarth, Roy Blackman, Steve Sawyer, Simon Heywood, Margot Douaihy, Ruth Grimsley, Paul Ottaway, Paddy Moran, Mike Jones, Jeff Cottrill, Corinne Salisbury, James Lock, Jonathan Woolley, Bill Cooper, Peter Beeston, Jim Caruth, Vicky Morris, Dave Roberts, Andy Hirst, Janet Hassall, Michael Greavy, Anna Robinson, Jo Roach, Janet Hassall, Dusan Radunovic, Sanja Bahun, Eleanor Rees, David Stead, Catherine Clarke, Raff, Gavin Hudson, Adam White, Sue Wallace, Ben Wilkinson, Kayo, Joe Kriss, Paul Mitchell, John Proud, Sarah Murphy, Ruth Messe, Mihalis Walsh, Jack Richardson, Trev Teasdel, Keith Armstrong, Dex, and Guy Hudson. Who performed at Antics in 2006? Richard Bolam, Rosie Ford, Kayo Chingonyi (Requiem), Joe Kriss, Keith Jafrate, Dianne Darby, Thom the World Poet, Steve Scott, Matthew Wade, Peter Jones, Joan Hoare, Jonathan Baxter, Matt Clegg, Jerome Kiel, Christine Kiel, Marshall Lore, Phenzwaan, Ruth Grimsley, Ben Wilkinson, Chris Bates, Michael Greavy, Doreen Bottomley, Graham Roos, Andy Hirst, Ana Maria Oliva, Oliver Mantell, Sue Levan, James Lock, Elizabeth Barrett, Mike Fox, Roy Blackman, Matt Black, Kate Gilbert, Jonathan Woolley, John Hall, Sue Wallace, David Cox, Roland Miller, Tom Stafford, Chris Brownsword, Scott Thurston, Bruce Barnes, Philip Howarth, Jim Caruth, Eddie Bourke-Fox, Terry Marshall, Corinne Salisbury, Tina McKevitt, Sarah Gittens, Helen Tunny, Beccy Virgo, Bill Cooper, Andy Walker, Angela Kaye, Dave Maass, Brian Yates, Chris Hammond, and Bird. If your name is not up here but should be, or it is but you don't want it to be, please let us know!